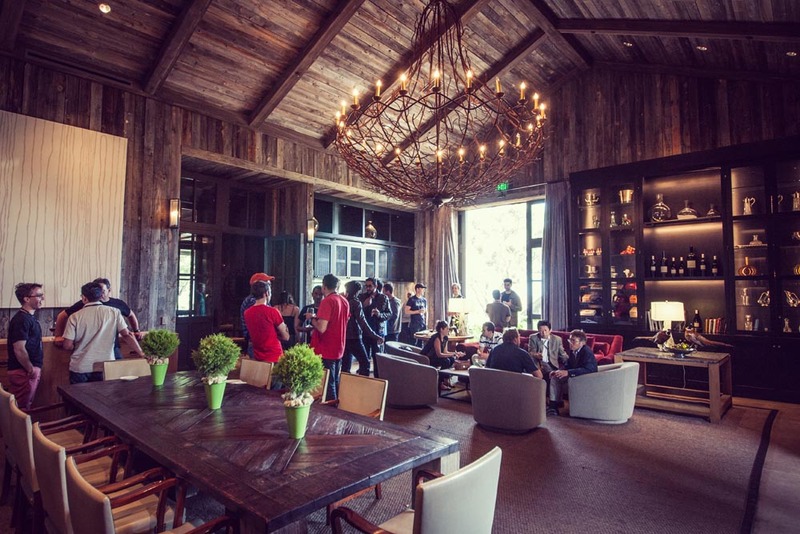 Our last drive day was a big success, with over 50 founders, VCs, and tech execs coming out to the track for fast cars and wine. Although the spirit of the event was one of collaboration, Howard Hartenbaum (Partner, August Capital) gets bragging rights for the fastest lap time in the Audi Autocross with a 22.03 time, and Rick Stratton (Founder, feed.us) finished first in our Sprint Kart race. Chris Hulls (Founder, Life360), came in a close second, and claims he would have won if only he were thirty pounds lighter. We also did our first batch of Developer SPEED Dates with professional racecar driver Collete Davis and ConnectedCarSV organizer Annika Kapur bringing developers and founders on the autocross track for backseat job interviews. We hope this becomes the standard interview method for all valley jobs. Andreas Gross (Head of Growth, Life360), Stephen Blum (CTO, PubNub), and Mike Morrell (Founder, Riviera Partners) heading to their F3s. Collette Davis (Founder, Octane App) getting ready to bring a developer on SPEED Date. The group trying to do a bit of networking over lunch in order to rationalize the day as a business expense. 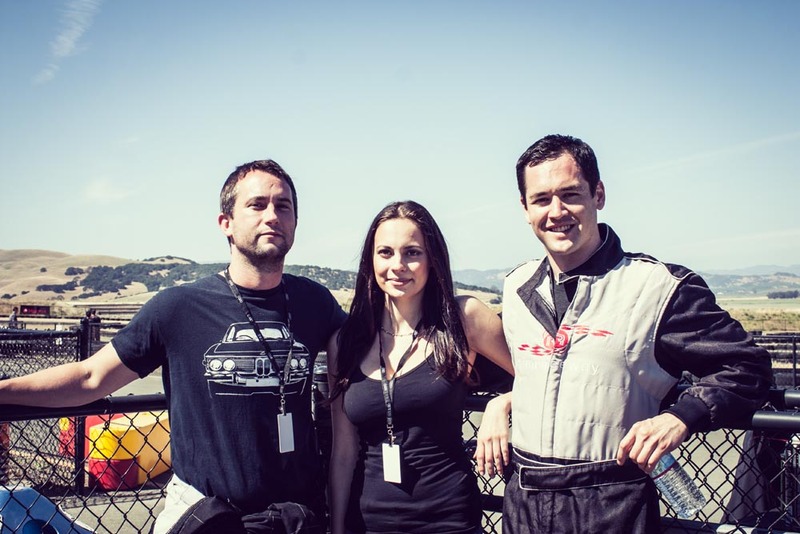 Drive day organizer Annika Kapur striking a pose with Ben Cook (CEO, Passif) and Chris Hulls (CEO, Life360) after getting off the kart track. 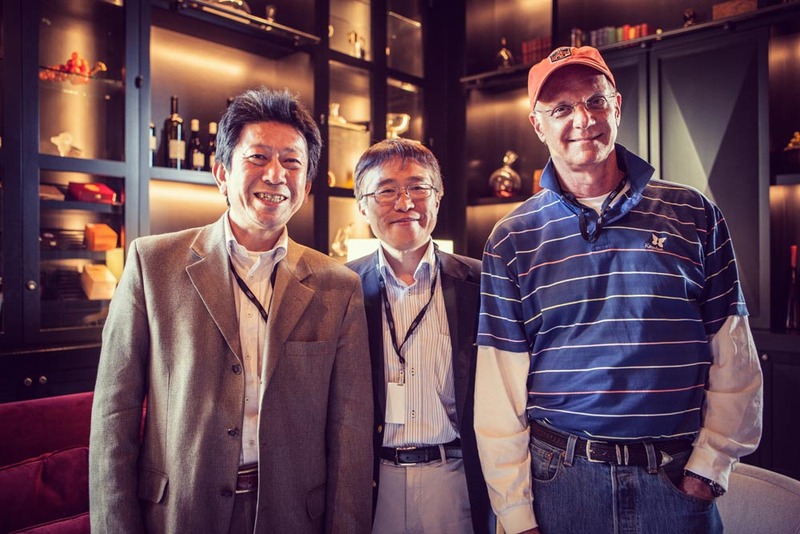 Mark Goines (Partner, Morgenthaler Ventures) with Ichiro Ando (Executive Coordinator, Toyota) and Masumi Nagai (Group Vice President, Toyota) winding down the day. Nothing like a Ram’s Gate After party. See the rest of the pics here and here. It’s official. Our next drive day will be May 22nd at Sonoma Raceway. This time we’re mixing things up a bit, and you will get to choose what you want to drive. 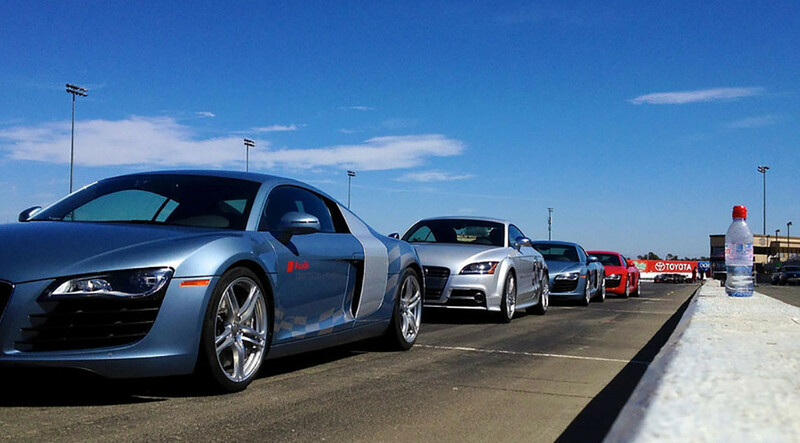 In the morning, we’ll all start as a group, doing an Audi Autocross. Drivers will be challenged with a timed Audi TTS competition, S Model lapping session and an instructor-driven demo lap. In just a few hours, you have the opportunity to enhance and refine your driving skills behind the wheel of an Audi, walking away as a far more confident driver. 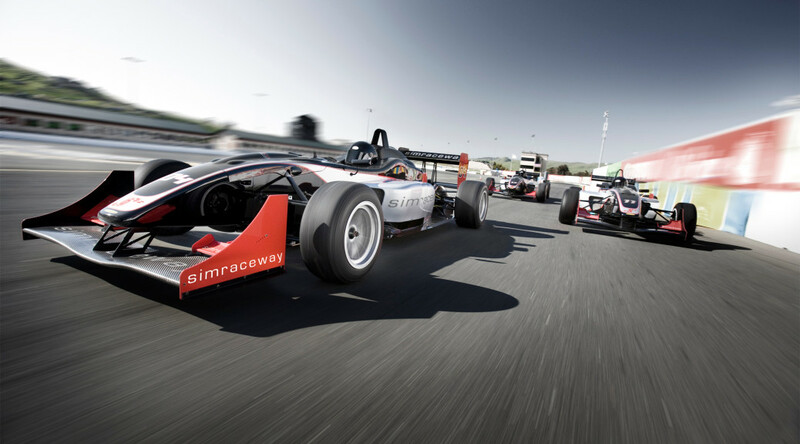 After the Autocross, we’ll have a catered lunch, while also taking turns riding shotgun with instructors doing hotlaps in either the Audi R8 or the Caterham SP/300r, a sports prototype racer capable of 0 to 60 in 2.8 seconds. If a morning of driving isn’t enough, and you want to ratchet up the intensity, you’ll be able to choose between either an afternoon of sprint karting (that will end in a head-to-head race for those who qualify), or a half-day in the Lola Formula 3 car (a true open-wheel formula car capable of over 3 lateral Gs). As always, we will end the day at the nearby Ramsgate winery with food and wine. Pricing will be $550 for the autocross challenge and hot laps, $750 if you want to include kart racing, and $1,750 if you are brave enough to drive the F3. We have a limited number of free and discounted spots for members of the press and early stage startups, and we’re also giving a few free seats to software developers looking for jobs - the CEOs in attendance want to hire you! While we give priority to execs and investors in the Connected Car and Internet of Things verticals, anyone who is uniquely accomplished or interesting is also eligible for an invitation. Close friends, family, and significant-others are welcome to attend as either spectators or drivers. If they spectate, we’ll make sure they have plenty to eat and drink, and if capacity allows for it, some time on the track with our instructors. 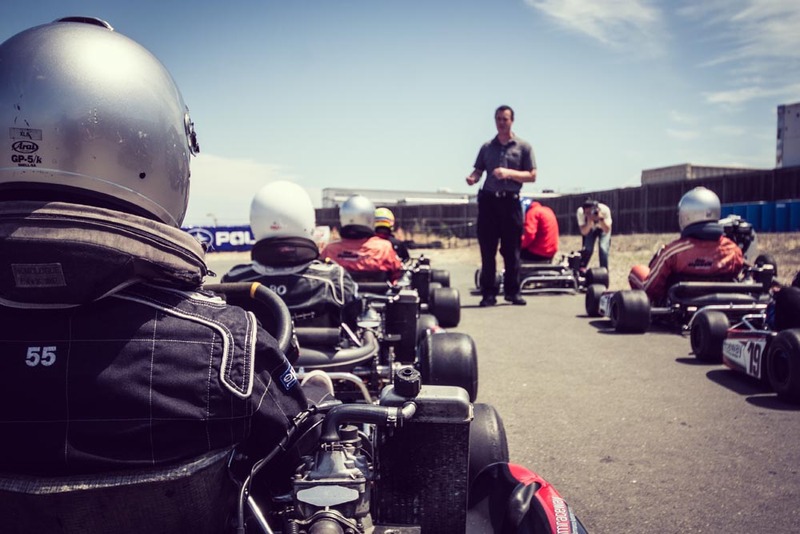 We recently completed our second connected car event at Infineon Raceway, but instead of taking out the big cars, we settled on professional sprint karts where we could go head-to-head without the risk of a $150,000 bill for a crashed R8. This event was a bit bigger than last time, with about 30 drivers coming from a range of backgrounds from CEOs of connected device companies to VCs and car company executives. The day started with private instruction from SimRaceway’s staff, and culminated in what turned out to be a very close race, with the three winners separated by less than two seconds. First place went to Rob Coneybeer (Partner, Shasta Ventures), followed by Ross Coneybeer (his son), and then Chris Hulls (CEO, Life360). 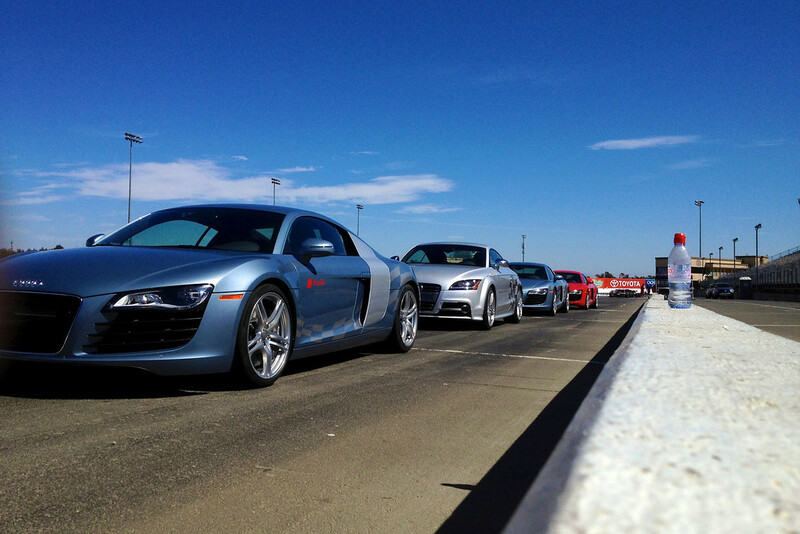 Checkout Pando’s video from our R8 driving event. See the full coverage here. 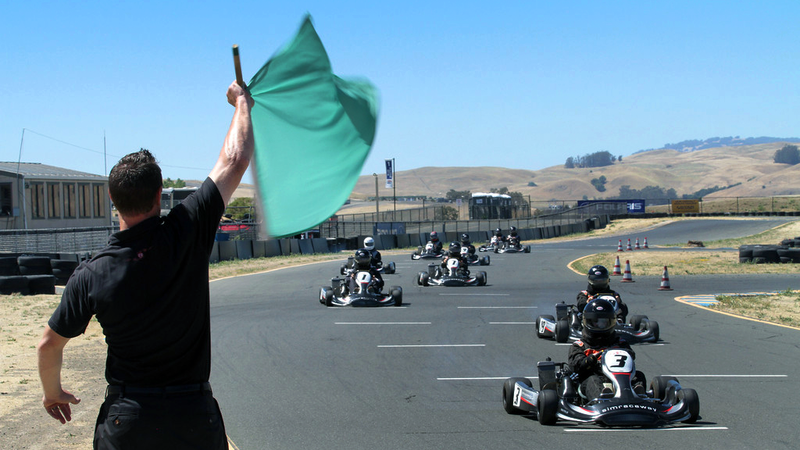 Our next drive day has been scheduled for June 29th at Infineon Raceway’s kart circuit. 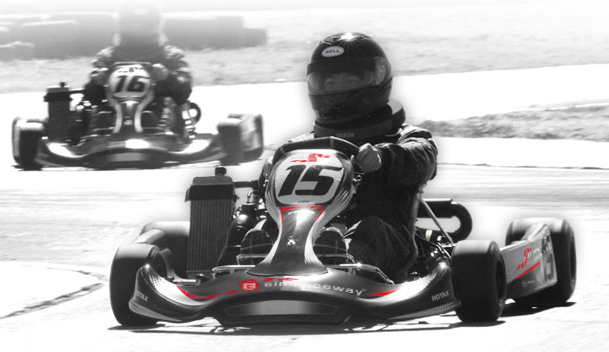 We’ll be driving their 28 HP SRW professional racing karts, which when geared for top end speed are capable of over 100 miles per hour (these are not anything like the run of the mill indoor karts most people have tried). We have confirmed attendees from a range of backgrounds including VC partners, startup founders and CEOs, and representatives from larger technology and automotive companies. Since we’ll have half a day of training to get us off to a good start, we’ll be able to drive on the track without a pacecar, and all laps will be timed (and possibly shared with the whole group, so bring your A game). We’ll culminate the day with some challenges to see who can take the crown as the fastest driver. The event will cost $700 per attendee. We also have a limited number of free and discounted seats for members of the press and earlier stage startups. If you think you can keep up with the pack, apply here. 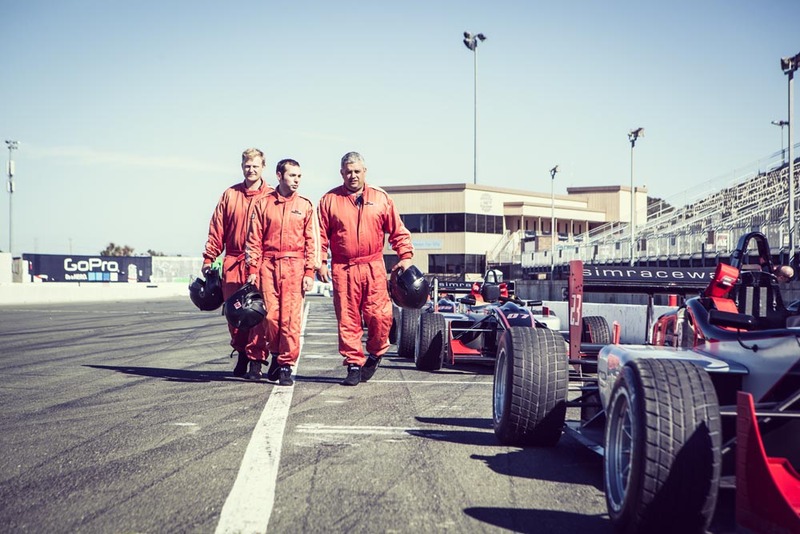 ConnectedCarSV kicked off with its first event at Infineon Raceway this past Friday. 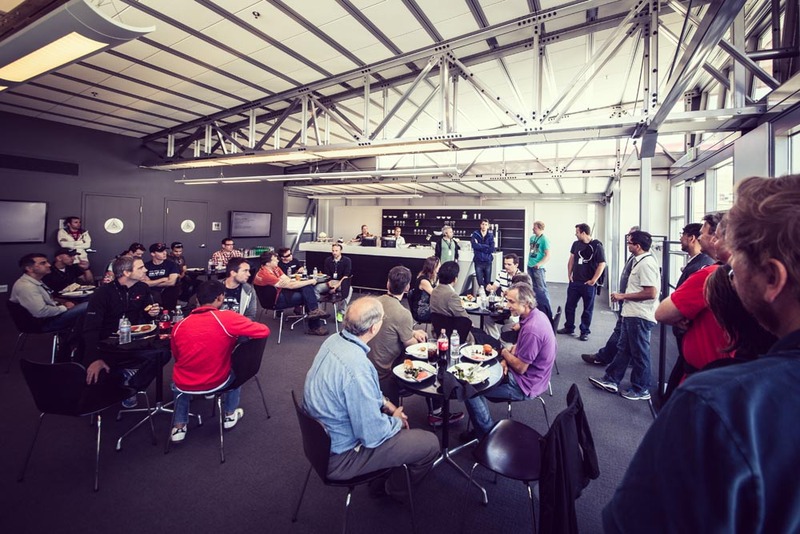 We had about 15 attendees ranging from startup CEOs to VC partners and folks from Honda and Google Automotive come to the track. 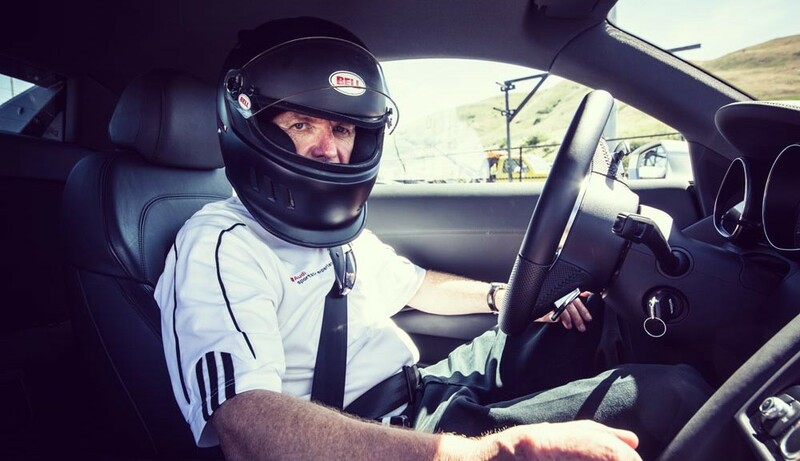 Since this was our first event, we mainly focused on fun, and most of the day was spent on the track pushing the limits of the Audi R8 thanks to the folks at the SimRaceway Performance Driving Center. We haven’t scheduled our next drive day yet, but if you are interested in learning more, please add your name to our list by applying here. UPDATE: We’ve had quite a few emails from people outside of the connected car community asking to attend. For now, we are limiting attendance to venture investors and people with connections to the connected car industry, but if you don’t meet this criteria please apply anyway as we might organize an event for other members of the tech ecosystem.